A deeper look at Liam Scarlett's production, his first on the main stage. 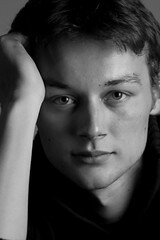 Liam Scarlett is already recognized as an exceptional choreographer and hailed as one of the dance-makers of the future. He makes his choreographic main-stage debut with The Royal Ballet this spring with his eagerly anticipated new work Asphodels Meadows. Scarlett was born in the south-east of England, Ipswich, and trained locally with the Linda Shipton School of Dancing. He furthered his training at the Royal Ballet Lower and Upper Schools, and joined The Royal Ballet in 2005, being promoted to First Artist in 2008/09. Choreography has quickly become his voice. Despite his relative youth – he is 23 – Scarlett has begun to develop a distinctive choreographic vocabulary and style. In 2004, he choreographed for the Royal Ballet School. Then he made Despite and Vayamos al Diablo for ROH2’s In Good Company (2006). His obvious choreographic talent was encouraged with further opportunities to create New Works in the Linbury, such as Consolations and Liebesträume (2009) and Of Mozart (2008). His choreographic voyage also took him outside the Royal Opera House; in 2008 he made Hinterland for the neo-classical ballet company Ballet Black. It has been wonderful receiving such support and encouragement throughout my training and professional career. The opportunities to date have been invaluable to my learning. It has been the perfect journey for me. Firstly, creating work for the Royal Ballet School then creating work for the other spaces within the Royal Opera House, other companies and now for the main stage. These experiences have enabled me to develop my own choreographic voice but, most importantly, they have allowed me to learn about other dancer’s vocabularies, their work ethic, as well how I go about approaching the creation of a new piece. Scarlett became the youngest ever nominee of the UK Dance Awards for Of Mozart, his 2008 work. In 2009, he was nominated again for his work Consolations and Liebesträume. He received the first De Valois Trust Fund Award for Choreography in 2005. His newest work, Asphodel Meadows, has received generous philanthropic support from Simon and Virginia Robertson and from the Estate of Dr John Hayes. Asphodel Meadows is an abstract ballet set to Francis Poulenc’s Double Piano Concerto. Like much of Scarlett’s previous work, it has no literal plot. Indeed, it seems to defy any obvious interpretation, forcing you to concentrate purely on the dance and the music, which have their own aesthetic logic. Asphodel Meadows takes its name from a section of the Greek underworld where ordinary souls spend life after death. Its choreographic movement is pure and classic; with glimpses of emotion and character inspired by the music. The set is dark and spare, with a sense of tranquillity and space. 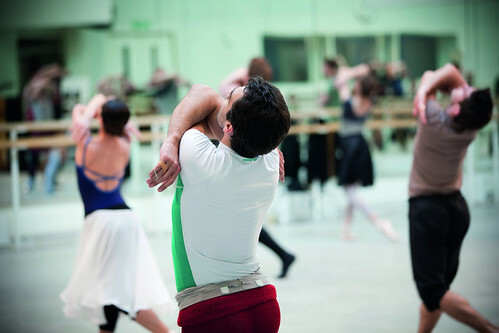 The cast of 20 includes six star principal dancers, such as Sarah Lamb, Laura Morera, Ricardo Cervera, Leanne Benjamin, Marianela Nuñez and Edward Watson. These superlative performers know Scarlett well and have been generous in working with him to produce three distinct new duets. These form the centrepiece of each of the ballet’s three movements. The corps are often on stage with the principals, echoing and complementing the main action. Poulenc’s Double Piano Concerto is full of spirit and vitality. Its melodies are vigorous throughout, with an energetic companionship between both pianos that at times produces a hypnotic-like driving energy. The slower central piece begins in Romantic mode, recalling echos of a Mozart andante. It then unexpectedly flourishes into an explosion of 1930s dance-hall vigour. The final movement is rich and lively with flashes of playfulness and gentle charm. This traditional choice of music is a characteristic of Scarlett. His previous works have been set to piano pieces by Mozart, Liszt and Rakhmaninov. The set and costume design were led by John Macfarlane; renowned for creating glorious sets and costumes for productions such as the operas Hansel and Gretel, and Peter Grimes, as well as the famous Romantic ballets Giselle and La Ronde. The set for Asphodel Meadows was a collaboration between Scarlett, Macfarlane and Jennifer Tipton (Lighting Designer).The music inspired the movement, and the movement inspired the set, says Scarlett. It was important to him that the set moved and flowed with the dancers. He and Macfarlane devised a series of vertical window-like shutter panels which move in tandem with the dancers and reveal glimpses of the beyond. The costumes are simple and neutrally toned. The overall effect gives a notion of infinity and oblivion, extending the stage as far as the eye can see. It is expansive, yet also understated, painted in black and soft creams that blur and fade into each other like an abstract painting. There is the faintest suggestion of florals: perhaps inspired by the asphodel flowers of the ballet’s title. We must remember that while Liam takes on this ambitious role as main-stage choreographer, he also must juggle his other commitments: daily class and regular Royal Ballet rehearsals and performances. He considers this new work as an exciting milestone in his career. Above all, he has said, if audiences take away from it some small sense of who he is, then he will feel a sense of achievement. This piece was originally written around Asphodel Meadows' main stage debut in May 2010.